Rice is celebrated as a symbol of prosperity in Hinduism. In Hinduism, rice holds great spiritual and ritual significance as it is a staple of the Indian diet. Because of its basic life-sustaining qualities, rice is revered as a potent symbol of auspiciousness, prosperity and fertility and therefore is used extensively in Hindu rites and rituals. Rice particularly plays a significant role in some Hindu samskaras -- rite-of-passage ceremonies that signify transition periods in an individual’s life and personality development -- as well as in harvest festivals. 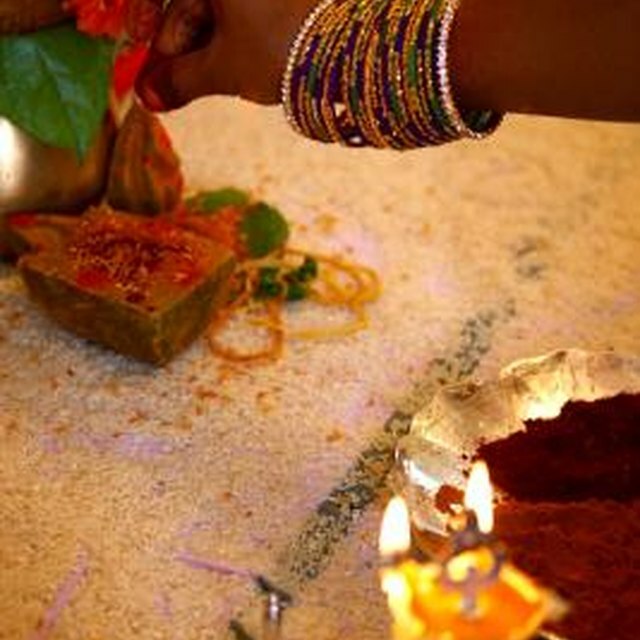 During a Hindu wedding, rice is often sprinkled over the newlywed couple to bless them with a prosperous married life. Because rice is thought to ward off demons, it is poured into the wedding fire by the bride and bridegroom. It is also offered by the couple to their patron household deity after the completion of the marriage ceremony and sprinkled around the house by the new bride to secure blessings on their joint home. In certain parts of India the couple will stand on a pile of rice during the marriage ceremony. Rice plays a central role in the Hindu ceremony of Annaprashana, a ritualized first feeding, as it is the first solid food placed in a baby’s mouth. 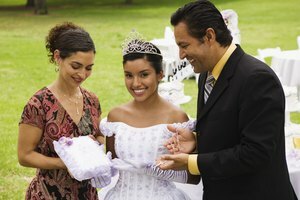 The ceremony is conducted in the baby’s sixth or seventh month of life, depending on local customs and the health of the child, and is arranged by a priest. Simple boiled rice or a sweet rice pudding called kheer is prepared by the mother or grandmother of the child under the chanting of appropriate Vedic mantras. The Vidyarambham ceremony initiates Hindu children into the world of education by exposing them to their first letters. During the ceremony, a child is assisted to form letters in a plate covered with dry rice grains. The letters are generally a mantra of prosperity that is again written with gold on the child’s tongue. Rice is utilized in this ceremony as it represents fortune and blessings for the prosperous development of the child. Thai Pongal is a mid-January festival celebrated among the Tamils of southern India to mark the end of the harvest season. The day's celebrations include an early morning ceremony of boiling rice with milk and sugar in clay pots. The boiling of the milk is considered an auspicious sign. The freshly cooked rice dish, called pongal, is offered to the sun god Surya to express gratitude for the successful harvest and the lengthening days, and to secure blessings of prosperity. Thai Pongal is actually a Tamil component of a change-of-seasons festival that is celebrated across India and known by various names such as Makar Sankranti. Although specific traditions vary by location, observances often involve the preparation of rice in special ways. 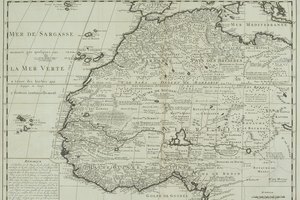 Alexander, Rachel. 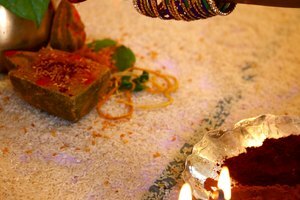 "The Significance of Rice in Hindu Ceremonies." Synonym, https://classroom.synonym.com/significance-rice-hindu-ceremonies-6681.html. Accessed 24 April 2019.